3-2-1 Rule for Backups | Jason Owens | Learn. Teach. Grow. I originally heard this mentioned on an episode of MacBreak Weekly, when one of the guests was Peter Krogh. 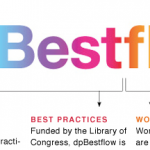 The dpBestflow project is funded by the US Library of Congress. While the content they produce is geared mainly towards digital artwork and workflow best-practices, their recommendations can be applied to other disciplines as well. As an example, here is the 3-2-1 Rule for backup strategies documented on their site. See links below to learn more about the project and Peter Krogh. 1 copy should be stored offsite (or at least offline). *While 3-2-1 storage is the ideal arrangement, it’s not always possible, particularly for images in the early stages of the lifecycle. A second media type, for instance, is impractical for many people in the ingestion or working file stage. In these cases, many people make do with hard-drive-only copies of their data. Best practices, however, still require 3 copies and some physical separation between the copies.